In Noise Reduction: Methods, Applications and Technology, the authors open with an overview of image denoising approaches. 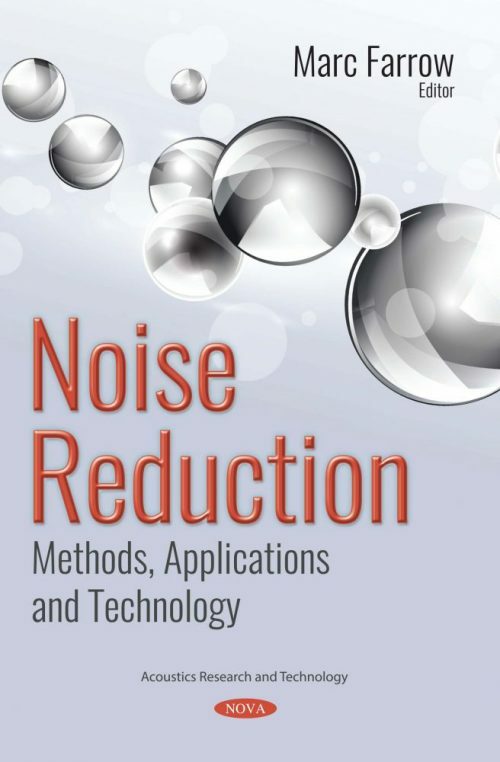 The review covers additive and multiplicative noise reduction methods in the spatial, frequency and wavelet domains, as well as their applications. Finally, experimental qualitative and quantitative evaluations on synthetic and real images corrupted by noise of different distributions are presented and discussed. Then next chapter begins with introduction to multiple camera systems: their usage, structure, hardware and applications. Some examples of existing systems are be presented along with quantitative comparison of parameters like: sensor resolution, technology, frame rate, shutter-related features, need and means for temporal synchronization. Next, optical phase induced interference noise (PIIN) in a sensor network is reduced by using optical phase modulation in both a SCOS and a fiber Bragg grating (FBG), and strain induced noise on the optical fiber sensor is reduced using a differential sensor setup called a push-pull SCOS. Phase modulation and differentiation are then combined to allow for simultaneous noise reduction from different noise sources and allow for optical sensing of electric fields in harsh environments. Additionally, the signal processing approaches that exploit the spatial and temporal-spectral characteristics of the flaw echo and noise for enhanced defect detection and noise reduction in ultrasonic NDE are presented. Results from simulation studies and experiments on the real industrial samples are presented to evaluate the techniques, and demonstrate their robustness and advantages over the classical methods. Lastly, the authors show how Riga City Municipality has managed to fulfil the main goal of the ‘Directive 2002/49/EC of the European Parliament and of the Council of 25 June 2002 relating to the assessment and management of environmental noise’ – to reduce the number of environmental noise affected people in Riga agglomeration.